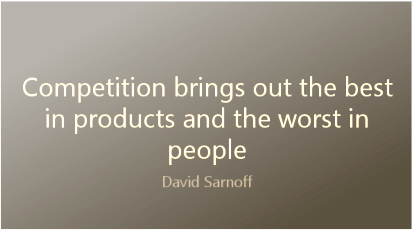 Is competition harmful or helpful? I have been interested in the broad social value and consequences of competition ​​​since my undergrad years. Competition is often lauded as a necessary and valuable way to inspire people to perform at their best, and help people find their natural roles in society. On the other hand, competition is criticized as a socially destructive force that brings about materialism, unhappiness, diminished self-esteem, and mutual contempt. I have been investigating these ideas through a number of research programs. My dissertation work sought to reconcile the mixed findings regarding the effects of competition on intergroup bias and discrimination. I also participated in an interdisciplinary project—organized as part of the 2015 Transformative Consumer Research conference—to understand how marketing practices can exacerbate or reduce social conflict, as well as consumer and societal wellbeing. More recently, I have been investigating how competition within one's peer group can affect personal wellbeing and social media usage. ​Maxwell-Smith, M. A., & Dumas, T. M. Peer competition and buying likes: A cry for help or a coolness tactic? (in progress). How do concerns about social inequality influence consumer decisions, brand equity, and public policy support? 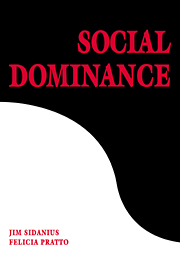 ​In a series of related research streams that draw on Social Dominance Theory, I investigate how social dominance tendencies affect consumers’ brand attitudes and purchase decisions. In one line of research I am examining whether brand attitudes are affected by information about how a company treats its workforce vis-à-vis wages, training, health benefits, etc. In a related line of research, I am examining how ideological beliefs about societal inequality interact with beliefs about the social impact of offshoring trends to jointly influence how consumers use country-of-origin information, and how they react to international trade policies that affect domestic and foreign consumers.